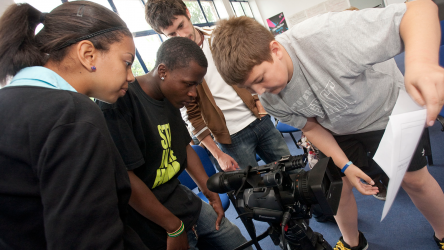 The BFI's Film Academy offers young people with an interest in film and filmmaking the chance to work alongside industry professionals, and is open to 16-19-year-olds from anywhere in the UK. Many of our filmmaking competitions and programmes are populated with entries received via the Film Academy, including winners of both the Into Film Awards and our Film of the Month competition over the past year. 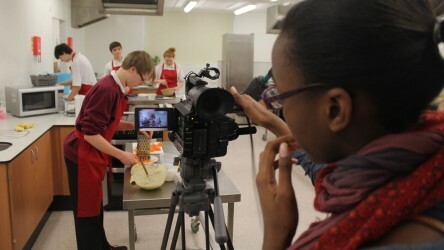 During each programme, participants will be offered hands-on filmmaking experience which will help to develop practical knowledge and skills, and will explore creativity and passions in a supportive and dynamic environment. With BFI Academies up and down the UK now opening their doors for a new set of participants this year, we've compiled some of the inspiring achievements of previous alumni below. 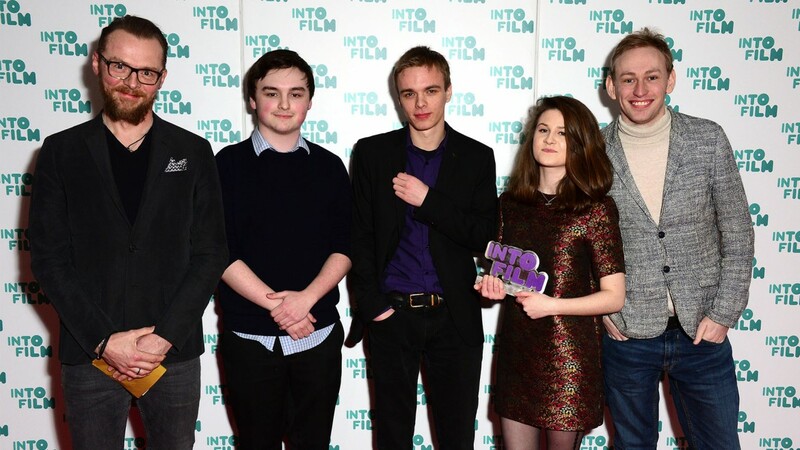 The 2016 Into Film Awards saw many noteworthy entries, including the film Afterlife, by students from the BFI Film Academy at The National Film and Television School in Beaconsfield (pictured above), who picked up an award for Best Live Action Film (13 and over). 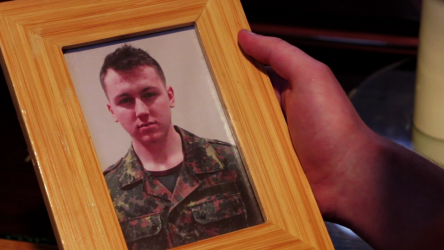 Filmmaker Harry Miller was nominated for an Into Film Award for his film The Tale of MadJack Mitten, which was put forward by the The BFI Film Academy and Media Active. Making the film was the first time most of us had used some of the techniques and we started with a writers table to get the ideas off the ground. It was a great experience and I would definitely recommend it as a first step into filmmaking and the industry. When applying for university, Harry said: "When I interviewed to study film at university the interviewer specifically said that attending the Film Academy was a defining factor for me getting accepted." With a wealth of talented filmmakers entering our Film of the Month competition on a regular basis, our judges are tasked with picking winners from a pool of incredible short films. June's winner, Absence, was written by, directed by and starred a group of eight students aged 16-19 from the BFI Film Academy Highlands and Islands, in Inverness, which is delivered by Screen Education Edinburgh. Receiving Film of the Month fills me with so much confidence and joy and compels me to keep on writing screenplays and developing my directorial ideas. Each BFI Film Academy costs £25, with free admittance and bursaries also available if you require assistance with travel, child care or other costs. More information on this and how to apply can be found here. 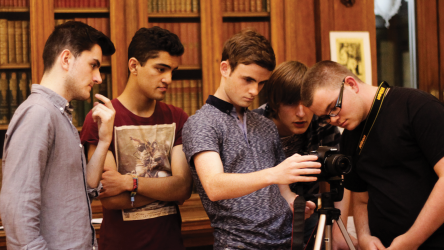 We hope to see plenty more films produced by young people with the Film Academy's help over the coming year. Our Film of the Month winner for June is Absence, a poignant drama produced by a group of young people from across the Highlands and Islands in Scotland.